- Width : 1.83 Mtr. We are manufacturing exellent quality withring net for tea purpose. We offer Tea Withering Net made from high grade polymesh. Our Tea Withering net is used in tea gardens for withering of tea leaves. It helps in maintaining original taste and flavor of tea leaves. It also reinstates steel wire mesh on tea withering truss, which ensures that the withered tea leaves are hygienic. Tuflex is a leading manufacturer of high-grade tea withering nets. Our tea withering nets are extensively used in tea gardens across India. Comparatively more rust free than conventional metal meshes, these nets are an ideal replacement for steel wire mesh on the tea-withering truss. Our Tea Withering Net are extensively used in tea gardens across India. 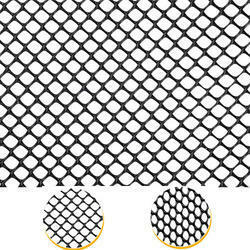 Specification : Type of Netting : Type I , II & III Width : 1.83 Mtr Length : 25.00 Mtr. Or customized Colour : Black, Green. We offer Tea Withering Net made from high grade polymesh. Our Tea Withering net is used in tea gardens for withering of tea leaves. It helps in maintaining original taste and flavor of tea leaves. Vega Marketing Co., is a leading supplier of high grade tea withering nets. 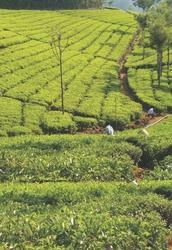 Our tea withering nets are extensively used in tea gardens across India. Comparatively more rust free than conventional metal meshes, these nets are an ideal replacement for steel wire mesh on the tea withering truss. Our Tea withering nets are made from virgin HDPE which imparts the net unmatched consistency and durability. It is used for withering of tea leaves. The rust free nature of polymer meshes make it a very hygienic and safe to use as well as prevents any contamination of tea leaves. Used in Tea gardens for withering of tea leaves for maintaining its original taste and flavour.Made of food grade material, well accepted in India & abroad in place of metal meshes. Available in 1.83 mtr width in black & green color and three different aperture sizes and thickness.